Kicked back casual, down to earth friendly staff, and reasonable prices make Awful’s the all-time favorite of locals and travelers alike. 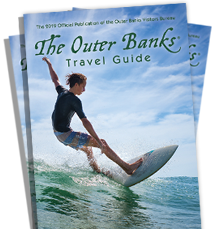 The restaurant features the beach’s only authentic copper-topped oyster bar and one of the Outer Banks’ only ocean-view lounges. The menu boasts oysters, shrimp, clams, crab cakes and crab legs. With lots of specials, appetizers, soups, salads, burgers, pasta, sandwiches, seafood platters and steaks everyone will find their favorites including the kids. Awful Arthur’s has received high accolades in the press.